All Niketeam.com orders are standard 3 month time frame from artwork approval. Call for more info 800-676-7463. 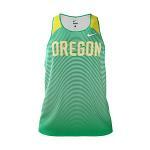 How to build your own CUSTOM Nike Team Uniforms! Easy as 123. Follow their instructions to create your own uniforms, SAVE it to your locker on their site. Click "Place order" and copy the UID number they provide. Call VS Athletics at 800-676-7463 and tell us the UID number or email us.